Here’s a piece of advice from every dermatologist out there: moisturizing is key to getting healthy skin. Most of us don’t fully understand the importance of hydrating our skin. If you struggle with oily and acne-prone skin, you might think cutting down on moisturizer is a good idea, but that’s where you’re wrong. Dehydrated skin can aggravate issues like inflammation and breakouts. Instead of skipping or skimping on moisturizer, what you need to do is find the right formula – one that fits your skin’s needs. 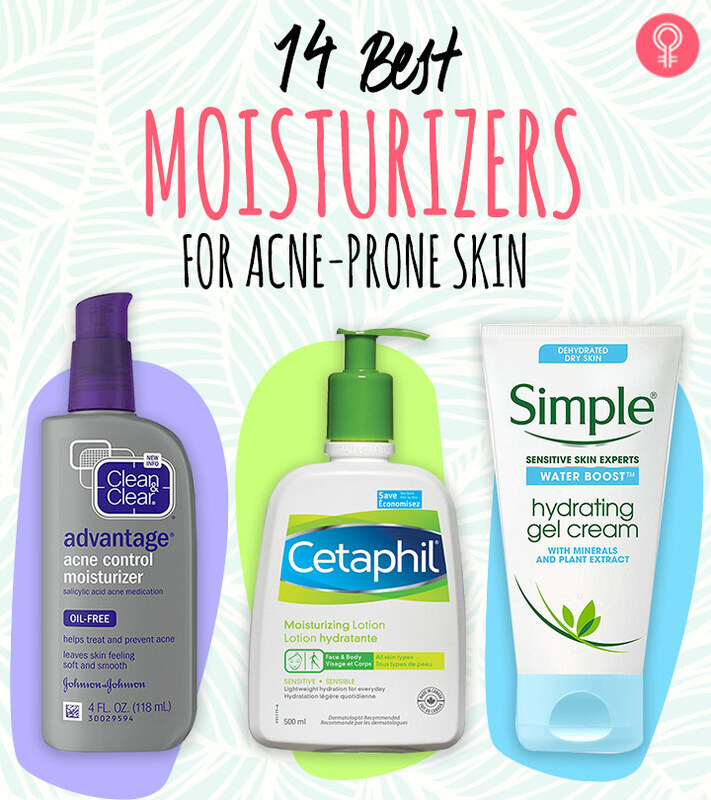 To help you decide, we’ve rounded up 14 of the best moisturizers that are suitable for acne-prone skin. These gentle moisturizers hydrate your skin without irritating it. 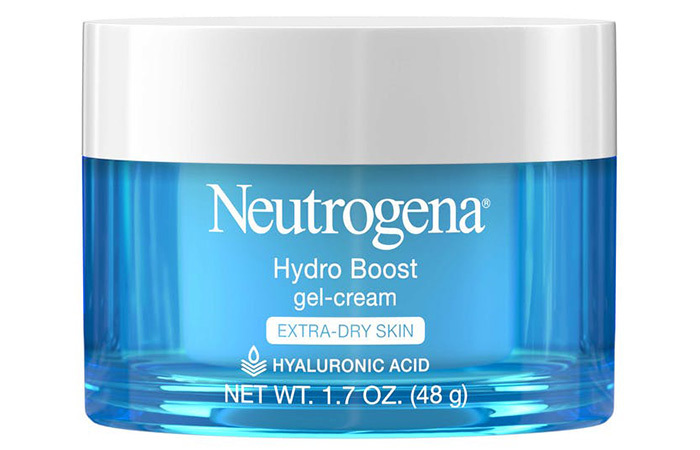 Neutrogena Hydro Boost Gel-Cream is formulated with hyaluronic acid that boosts hydration and locks it in, so your skin stays soft and supple throughout the day. It is ideal for extremely dry and acne-prone skin as it soothes and quenches dehydrated skin instantly. It contains an olive extract that nourishes your skin with its moisturizing and antioxidant properties. You can also use it as a night-time moisturizer. 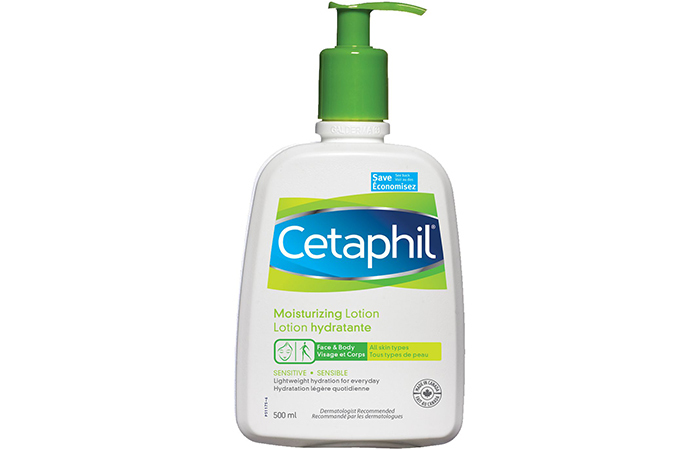 Cetaphil Moisturizing Lotion is a blessing for all skin types. It is specially formulated to soothe and calm your skin with its lightweight hydration. We love how easily it gets absorbed into your skin and restores its natural moisture. Its ingredients are proven to bind water to your skin and help prevent moisture loss throughout the day. 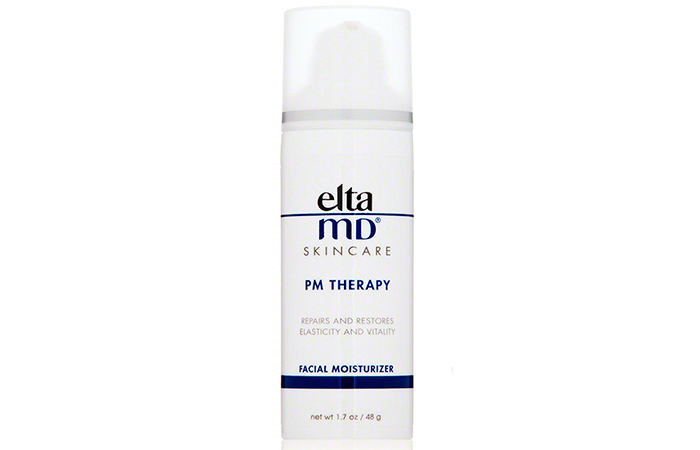 If your skin always looks dull and is in need of some intensive repair, Elta MD PM Therapy Facial Moisturizer is the best choice for you. It restores your skin’s youth while strengthening its natural moisture barrier. It contains niacinamide and antioxidants that boost your skin’s color and tone. This moisturizer is especially ideal for mature skin, but it also works incredibly well on all skin types. The rice protein in its formula aids in promoting collagen formation and encouraging cell growth. 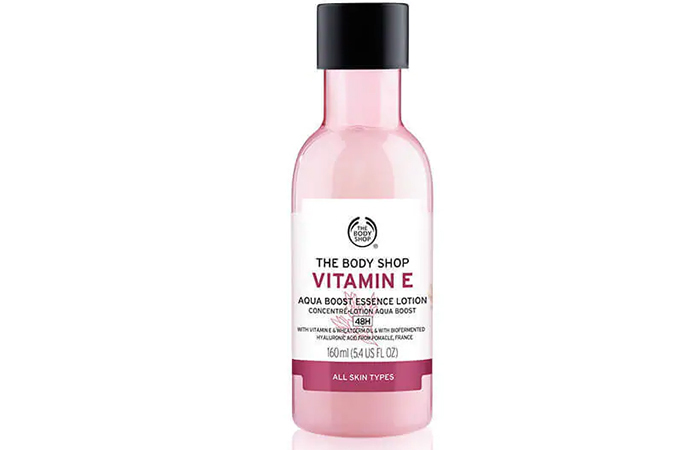 If you have dry skin that is extremely prone to acne, this formula from The Body Shop provides 48 hours of non-greasy moisturization. It is formulated with wheatgrass oil and vitamin E that protect your skin from free radical damage throughout the day. With regular use, your skin will feel so supple and plump that you can say goodbye to dry, flaky skin for good. 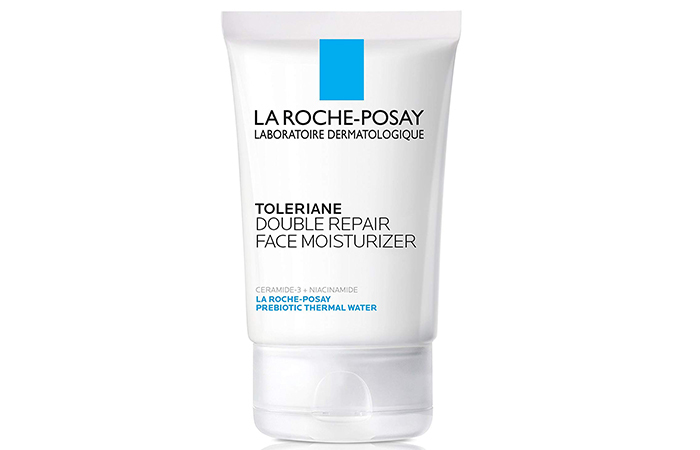 This oil-free moisturizer from the French brand La Roche-Posay works remarkably well in replenishing your skin’s moisture and restoring its natural protective barrier. If you have extremely sensitive skin, this product is a must-try as it nourishes and soothes irritated skin instantly. You’ll be surprised at how comfortable it feels on your skin and how efficiently it does its job within a few days of use. 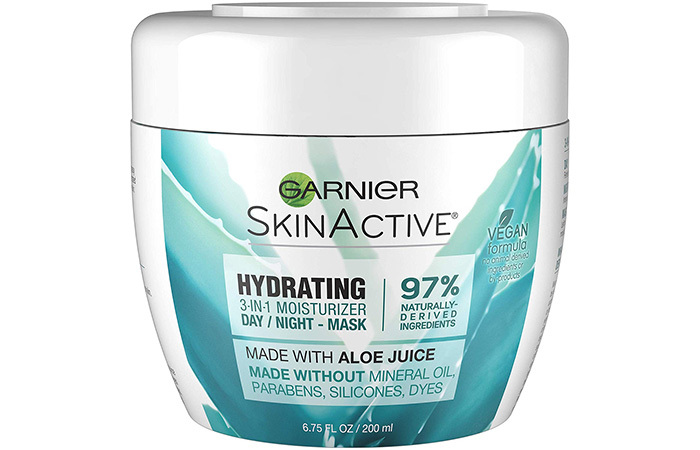 If you’re on the hunt for a drugstore moisturizer, this one from Garnier is a great option. It works in three ways – as a day moisturizer that refreshes, a night moisturizer that hydrates, and a face mask that nourishes your skin. Its fast-absorbing formula provides a big dose of hydration instantly, leaving your skin feeling softer and smoother. 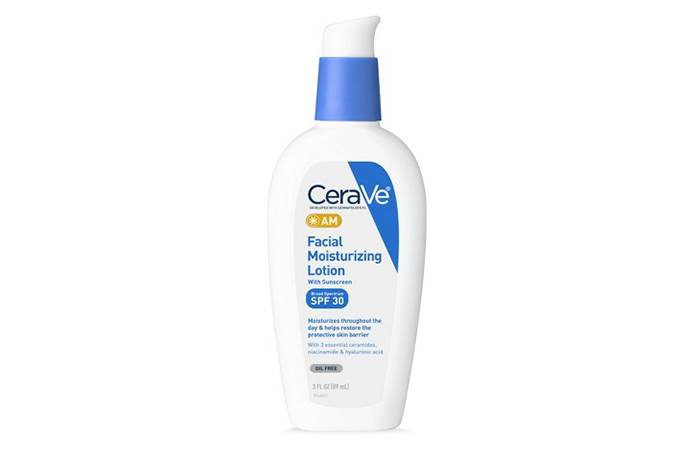 CeraVe’s AM Facial Moisturizing Lotion comes with SPF 30 to protect your skin from the damaging UV rays while nourishing it. It contains ingredients like ceramide, niacinamide, and hyaluronic acid that help your skin hold on to moisture. Here’s the best part: it works brilliantly even on sensitive skin as it does not clog pores or cause acne flare-ups. If you struggle with dryness, dullness, acne, large pores, and uneven skin texture, here’s your solution in a jar! 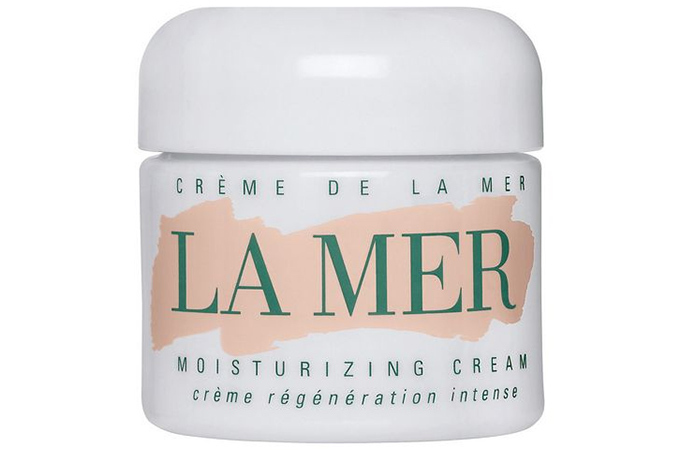 La Mer Moisturizing Cream is known for its power to hydrate and improve the appearance of your skin in as little as three days. It is formulated with hand-harvested sea kelp, nutrients, and minerals that support the five facets of natural skin healing – moisture, regeneration, soothing, smoothing, and radiance. 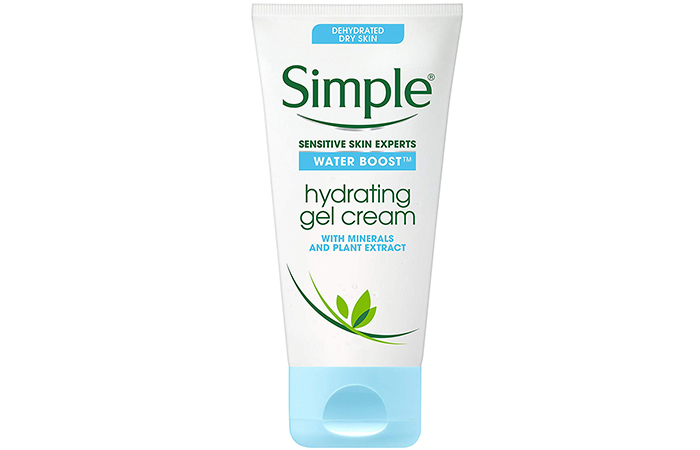 If you are not a fan of applying anything too heavy on your skin but your skin needs the hydration, this moisturizer from Simple is your best bet. It reduces the tightness and dryness on your skin that is often caused by cleansing. This gel cream is made with skin-loving ingredients, minerals, and plant extracts, and it works brilliantly on sensitive skin. 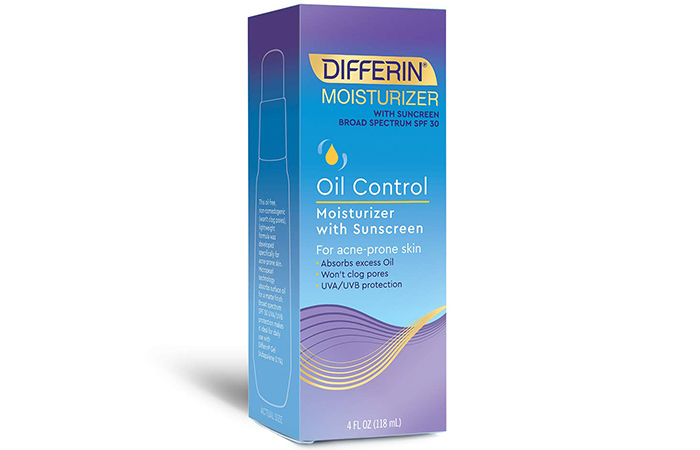 This oil-control moisturizer from Differin comes with SPF 30, and it is specially formulated for acne-prone skin. 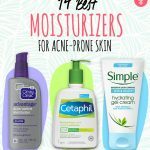 If you are currently treating breakouts with Differin gel (adapalene), this moisturizer can be used with it, and it won’t interfere with the treatment. It is the perfect option for someone with oily to combination skin type as it also helps control shine and grease. 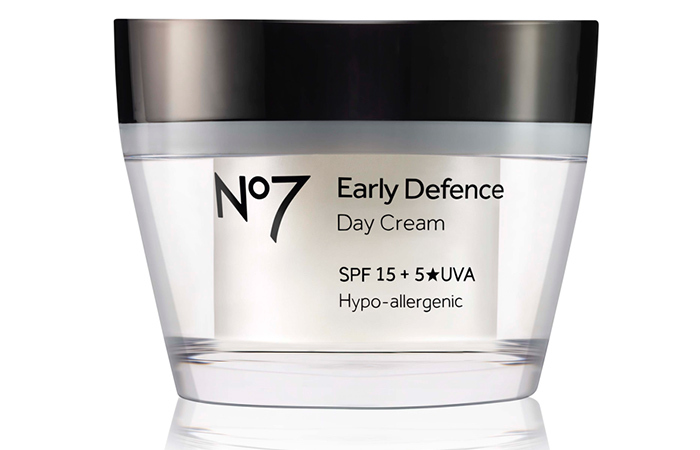 N°7’s Early Defence Day Cream is a must-try for aging, acne-prone skin. It is formulated with lipopeptides and vitamin A that help reduce the appearance of those first fine lines and fight oiliness. It comes with SPF 15, so your skin stays protected from environmental stressors like pollution and UV rays. 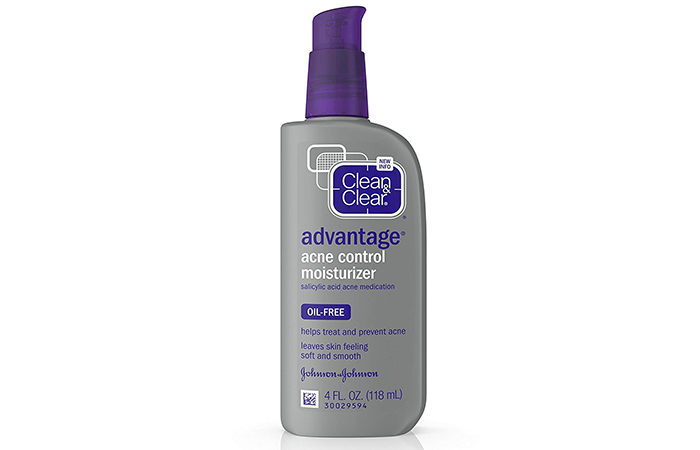 Say goodbye to breakouts with this Clean & Clear moisturizer! This formula replenishes your skin’s moisture while clearing up acne (and preventing new pimples from popping up). It contains the magic ingredient salicylic acid that works amazingly well when paired with this creamy formula. Looking for something a little more intense? 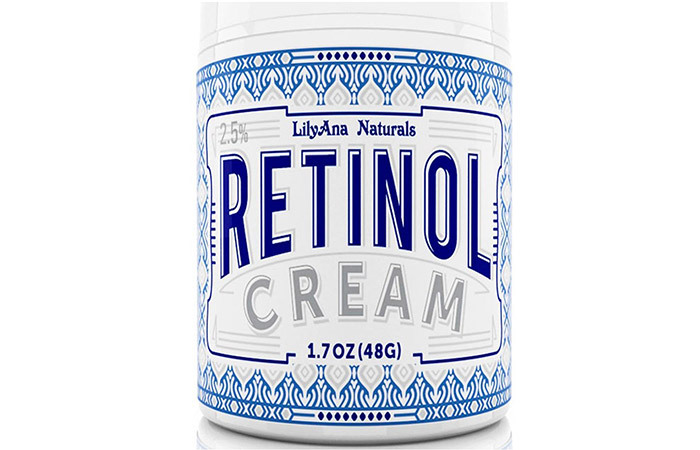 LilyAna Naturals Retinol Cream is easily one of the best picks for stubborn, acne-prone skin. It contains a combination of retinol and some of the best organic ingredients, such as hyaluronic acid, green tea, vitamin E, shea butter, and jojoba oil. This creamy formula works impressively fast in fixing flare-ups and improving your skin’s texture. We saved the best for last! 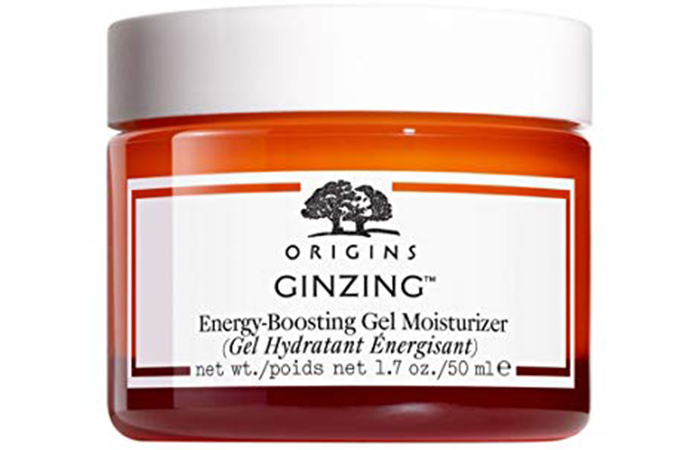 Origins Ginzing Energy-Boosting Gel Moisturizer is popular even among celebrities. This cult-favorite formula hydrates your skin and revs up its radiance with the help of ingredients like coffee bean and ginseng. It works well on all skin types, and it leaves your skin feeling fresh, bright, and insanely healthy. If you wouldn’t go a day without drinking water, you shouldn’t go a day without moisturizing your skin as well. 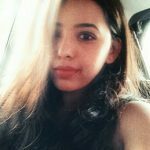 It is a very critical part of treating acne as it loosens the sebum that’s built up inside your pores. That was our round-up of the 14 best moisturizers for acne-prone skin. Do you have a go-to formula that you swear by? Let us know in the comments section below.